BUFFALO RANCH CHEX PARTY MIX — Traditional Chex Party Mix gets a spicy twist with the addition of Buffalo sauce and ranch seasoning. 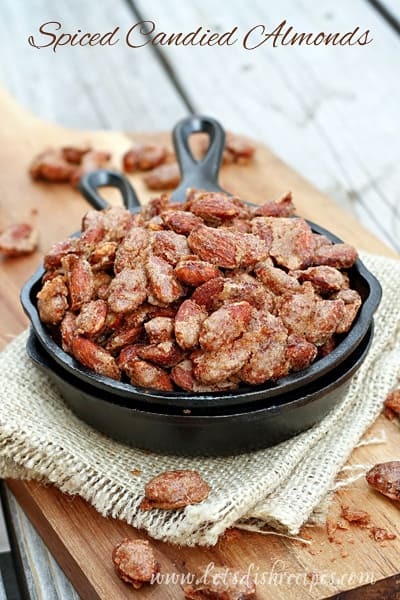 Perfect for game day snacking! 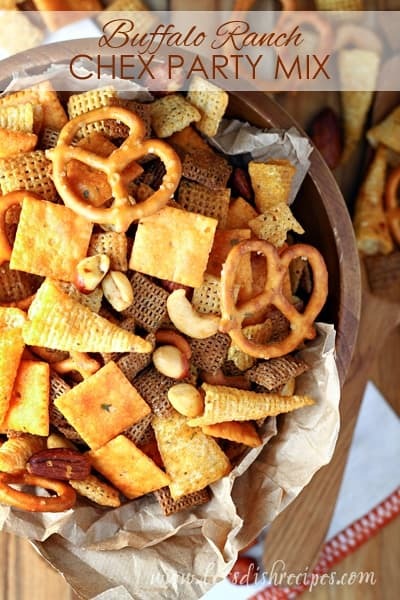 I can’t resist a big bowl of Chex Party Mix. So it’s no surprise I loved this Buffalo Ranch Chex Party Mix. My boys, who are fans of anything with Buffalo sauce, say they like it even more than the original! My favorite thing to add to any snack mix is Bugles. But you can certainly stick to the more traditional ingredients. Or change things up and add some of your favorites. Just make sure the total amount of cereal, nuts, crackers, etc. is the same. 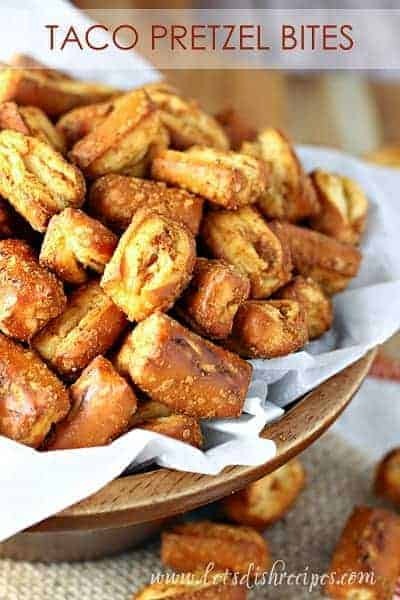 Bagel chips, different types of pretzels, Goldfish crackers and Cheez-it variations, different cereals, corn chips and oyster crackers are all good substitutions in this recipe. Don’t be afraid to get creative and add some of your favorites to the mix! If you don’t like a lot of heat, don’t worry, this really isn’t overly spicy. If you like more heat, I suggest adding some cayenne pepper to the butter mixture. 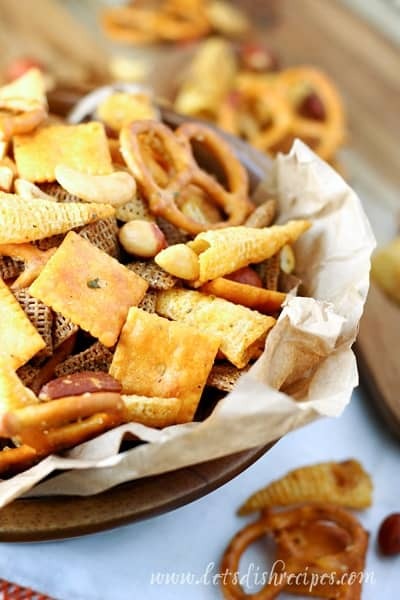 This savory, spicy snack mix is the perfect thing to have on hand for game day, or any get together. It’s the sort of thing people can’t resist, and I love that it can be made several days ahead of time and stored in an airtight container. This is a fairly large party mix, but with all the hungry boys at my house, it just disappears so quickly. But if you’re not feeding a bunch of hungry teenagers, you can always half the recipe. You will need a large roasting pan, or two sheet pans, to make the recipe as is. This Buffalo Chex Party Mix will definitely be on the regular rotation on game day around here! Hope you love it as much as we do! 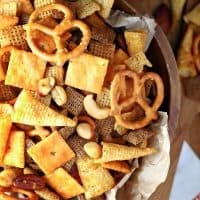 Be sure to save this Buffalo Ranch Chex Party Mix recipe to your favorite Pinterest board for later. Preheat oven to 250 degrees. 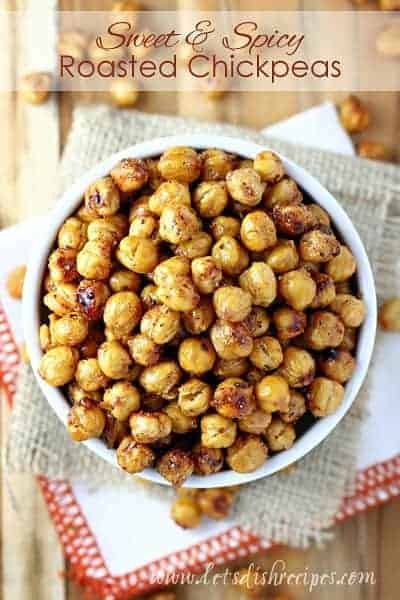 In a very large bowl, mix cereals, crackers, pretzels, Bugles and nuts; set aside. In a large roasting pan, combine melted butter, hot sauce, Worcestershire sauce, celery seed and ranch dressing mix. Gradually stir in cereal mixture until evenly coated. Bake for 1 hour, stirring every 15 minutes. Spread on paper towels to cool, about 15 minutes. Store in airtight container.